I am pleased to share with you the wisdom of NCAA Division 1 Women’s Volleyball Coach of San Diego State University, Deitre Collins-Parker. We are privileged to hear from Coach Deitre Collins-Parker today. Her resume as a coach and a player is incredible. Through her hard work, she has earned success throughout her playing and coaching career. She has won Conference titles with San Diego State and Cornell, as well as having a unexpected run to the WAC semi finals when she was at UNLV. Before coaching, Deitre played on two Olympic teams, professionally in Italy and France and led her college team (Hawaii) to a 110-5 record and consecutive National titles. She has a wealth of advice for young athletes looking to play in college. Coach Collins-Parker’s full bio is at the end of the interview. What are some ways that recruits can get you to take an interest in them? Some ways that we tend to take interest is; if we see them play, and they stand out in some way. Either they have a great personality, they are loud, they jump well, hit hard or are athletic. If we get video, then we want to see something that will make us want to make the effort to see them in person. One other effective way is to come to camp and make themselves known. How do coaching staffs at Division 1 schools work together to put together a recruiting class? Who should prospective athletes contact? We put our classes together by first seeing as many athletes as we can in the position(s) we are looking for in the particular recruiting year. We go through bunches of emails we receive to see who is interested in us as well. Then we begin meeting as a staff to narrow the list to athletes we think will help our team reach our goals. If athletes are pursuing a Division 1 roster spot, what do they need to know and do? I believe they should first get out and try to see some Collegiate matches of all levels. This will help them figure out the level in which they can compete. Set up unofficial visits to the schools they are interested in and see a practice, talk with the coaching staff and players and get an overall feel for the campus. Camp is another good option to see what the program is offering, as well as possibly seeing the level of other recruits that will be attending the University. Division 1 coaches are recruiting and getting verbal commitments from juniors, sophomores, and even freshmen. How does this work with regulations limiting interaction between college coaches and younger student athletes? Communication with underclassmen is often done through club and high school coaches. Since we coach are not able to contact the athlete directly those coaches are very important to our connection with the under aged athlete. It is also important the student athlete stays in contact by placing phone calls to the college coach. They must keep calling until they reach them. For a Division 1 school, how and when are scholarships offered? How much time do athletes typically have to respond? It is difficult to say how much time an athlete has to respond once a scholarship has been offered. It all depends on the circumstances surrounding the offer and the class of the student athlete. Typically, the deciding factor comes down to the pressure the coach receives from the back up choices trying to make their decisions on schools. No one wants to be left without any options. However different coaches take different approaches as well. At SDSU it is our goal not to pressure because we want the Student Athlete to make an informed, comfortable decision. We want this decision to be right for the athlete and for us. Should prospective athletes bring up scholarships with coaches or wait on the coach to initiate that discussion? Everyone’s situation is different; however, I guess if you want (or need) to know you should ask! Could you share, in whatever detail you are comfortable, what the athletic scholarship break down looks like on your roster and what is allowed by the NCAA Division 1? We are fully funded. We have 12 full scholarships and we cover the cost of attendance. A scholarship covers, tuition fees, room, board and course related books. We also give more to cover all expected college expenses. What are a few of the most common mistakes that prospective-student athletes make in the NCAA College recruiting process? I think the biggest mistake is being uninformed about all aspects of a University and the volleyball program. Everything from the style of coaching to daily life. Many choose a school because of the name only to find it wasn’t a good fit. What are some things that would keep you from recruiting a player? The one thing that deters us from recruiting a player is an obvious bad attitude. Second would be laziness (which also falls under bad attitude)! What should a recruit look for specifically on a campus visit? They should have the opportunity to speak with athletes (if they are in town), see a practice, talk with an academic advisor and get a good feel for the campus and volleyball program. The role of the parent is to support their child. Can you tell us any stories about how meeting the demands of collegiate athletics has prepared your former players in their lives after college? You grow up so much during your time in college. Being a part of a team is such an important part of the athlete’s development and preparation for life after college. One way is that in many ways it is like having a job. You have to manage your time and get the expected work load finished (studies, practice and competition). Often you are needed to step up and take a leadership role. This definitely carries over to successful people in the business world. We often do community service activities that give the athletes an opportunity to take a glimpse into areas they quite possibly haven’t experienced to help them be well rounded when they do leave college. College athletics is demanding. Why do your players continue to show up and work so hard day after day? What are the short term they are receiving and long term benefits they will receive? In order to do this day after day, you have to love what you are doing. You must have a passion for the sport and a desire to be good. When you do this you see the fruits of your labor and walk away with no regrets. Bonus Question: Is there anything important that you would like to share directly with high school athletes or volleyball players in particular as they navigate the recruiting process? I am repeating myself but make informed decisions. There is a good place for everyone and many times there are hidden gems that might be right for you! Do you want a bit more from Coach Collins-Parker? Check out this podcast interview she did September 13, 2016 with “The Good Life: Hawaii”. Deitre Collins-Parker, a two-time national collegiate player of the year and AVCA Hall of Fame member, was named the head volleyball coach at San Diego State on Jan. 30, 2009. In 2012 she led her Aztec squad to a 23-8 mark and a 13-3 ledger in the Mountain West as the Aztecs claimed their first-ever Mountain West title. It was SDSU’s best conference record and league finish since the 1996 season and top overall record since 1995. 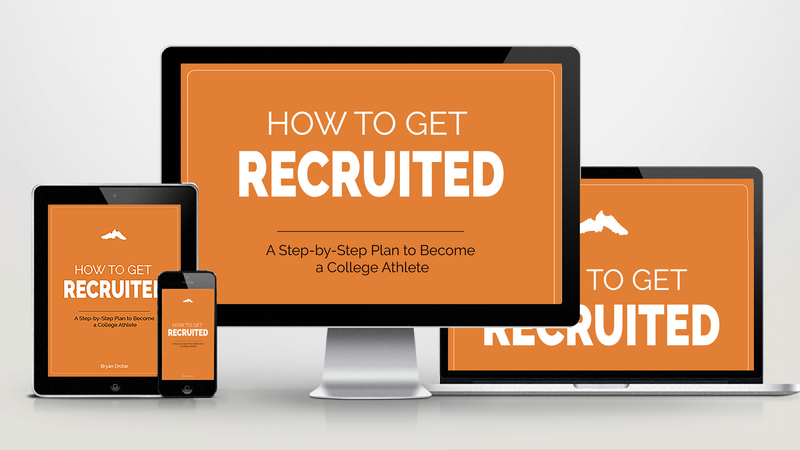 Next, check out: Are You Sure You Are Really Being Recruited? Please take a moment to share this on social media to benefit other prospective college athletes, by clicking on the “sharing is caring” buttons below.